Today I'm trying a new coffee shop and it was a great place! I actually knew this place from Ve Handojo's best-coffee-shop-in-town list and was planning to try each place he recommended ever since. And today, I tried Giyanti Coffee Roastery. 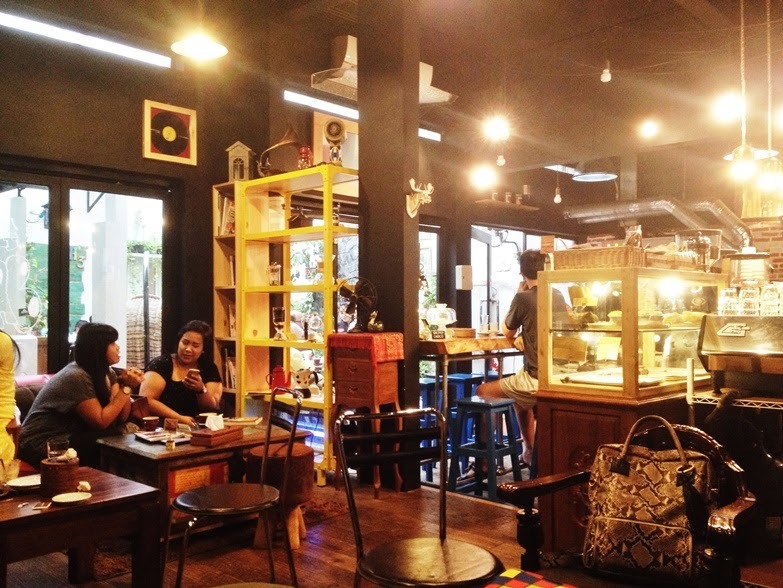 Giyanti Coffee Roastery is located in Jalan Surabaya, near Menteng area, Jakarta. It is located next to Cali Deli -- you could recognized the place because there are so many cars parked outside. From the main gate, you would have to enter a small alley that will bring you to some kind of an "outdoor" area of the coffee shop. There are different kind of tables and chairs, very unique. 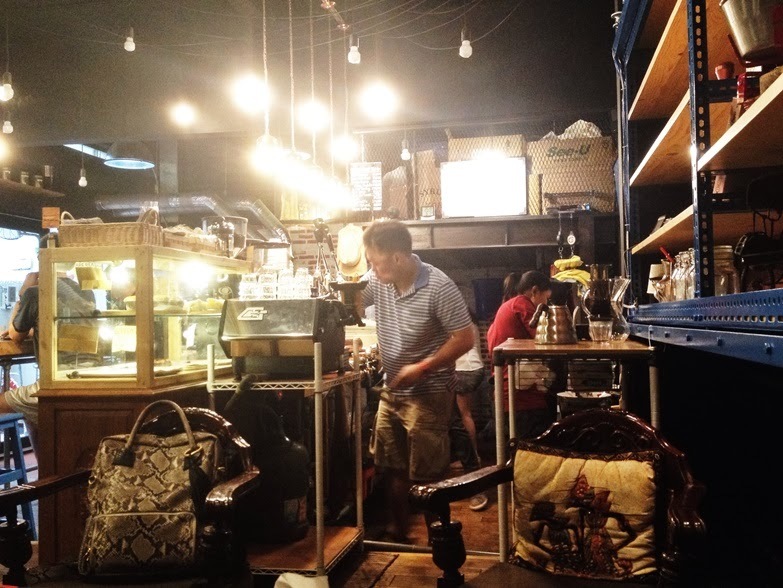 There's also an "indoor" part of the coffee shop, also filled with different types of tables and chairs that you can choose -- and they also include sofas inside so you could sit more comfortably. The indoor part is also the place where the "magic" happens. The indoor part is the place where they brew the coffee. The place is really nice! A very nice place to hangout with friends and have a nice chat. The ambiance is also great. But the most important thing is the coffee itself. I tasted three kind of drinks and a cake. I tried the ice latte, hot latte, ice chocolate melts and a brownie for the cake. The first time I tried the ice latte, it felt a little bit weird. It tasted so different than any other latte that I've tried before. Same thing also happened to the ice chocolate melts. It didn't feel like chocolate because it was so light and wasn't sweet at all. I was wondering, "what is so good about this?" But then I tried the hot latte and it was so good! The coffee wasn't too strong but it felt strong. I was sleepy but after just two sips, I felt energized again. 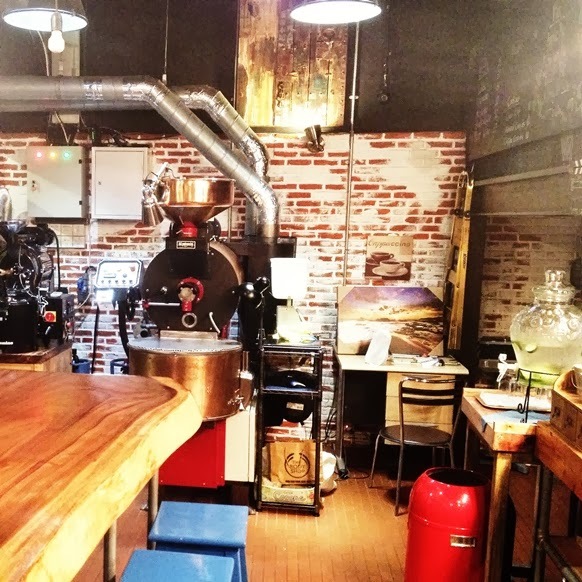 What's special about this place -- aside from the cozy atmosphere and the coffee -- is that they have so many different kind of coffee beans and they roast it themselves. 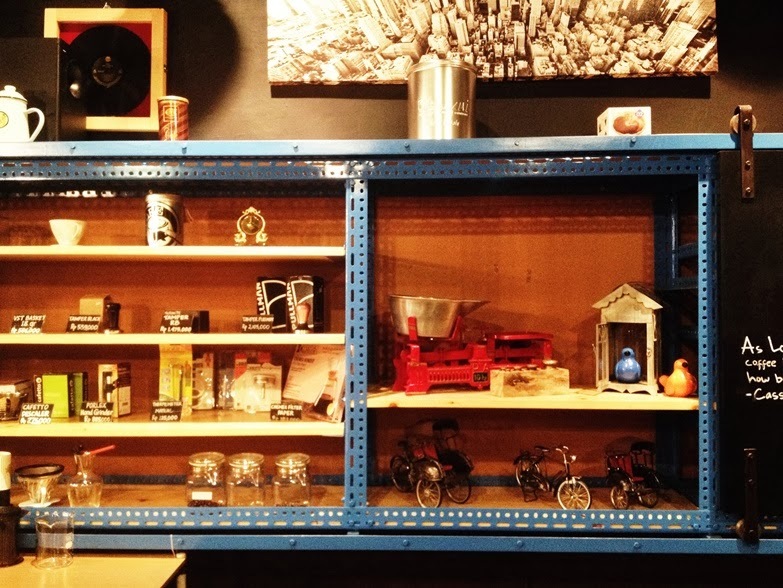 Aside from selling brewed coffee, they also sell the coffee beans and some simple coffee makers. They also sell some healthy cakes - since it's gluten free - and the apple pie seems to be the favorite there. But that's not all. 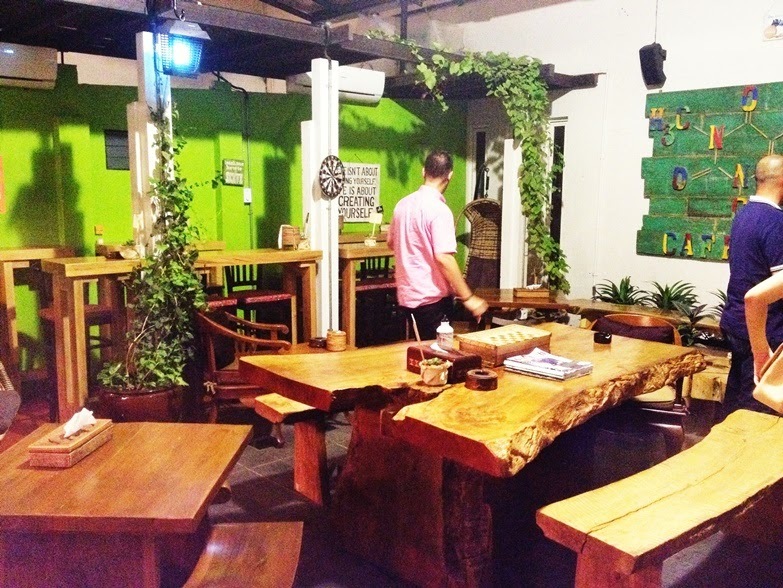 We can feel a huge passion inside this charming place because the owner (Ko Hendri) brew the coffee himself. He is very friendly and very passionate about what he's doing. It seems that he knows every guests and spare some time when he's not busy making those coffee by visiting each table and chat with his guests. It was a great first try and I'll definitely come here often. 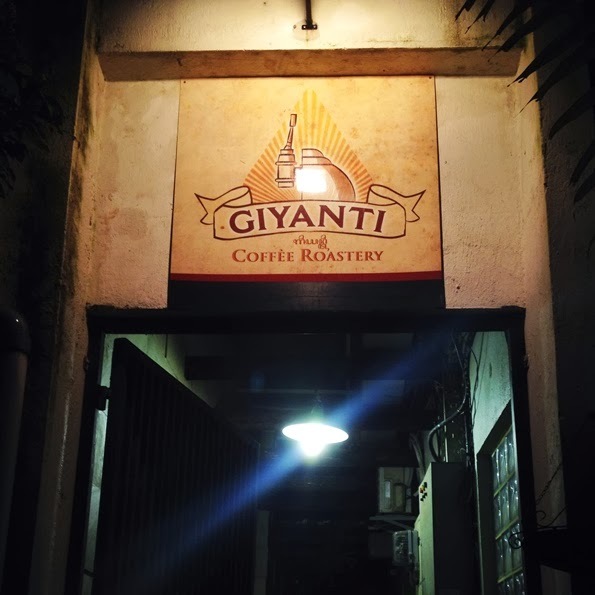 Giyanti Coffee Roastery opens every Wednesday to Saturday from 9.30am to 5.30pm. Check their website here. 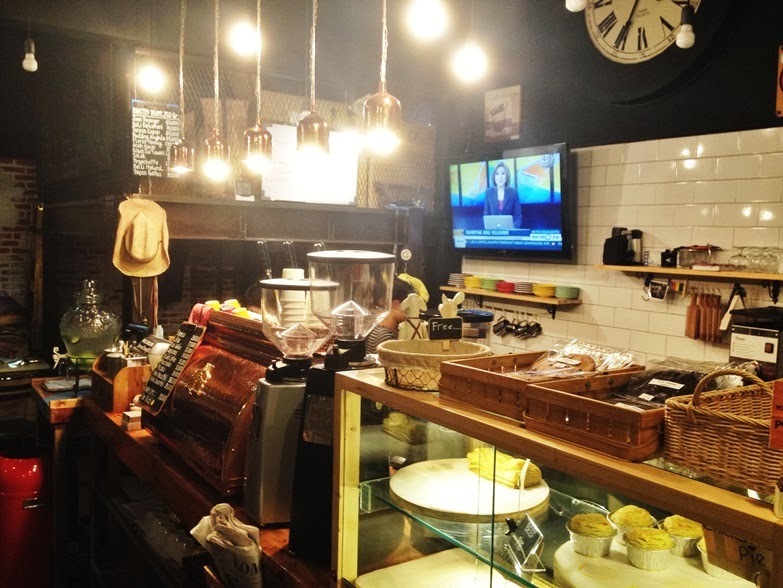 It's like a 1951 inspired coffee cafe in Brooklyn.